This article provides a step-by-step walkthrough of how to block all websites with Freedom. Issue: How do I block all websites? 2. When creating a session, choose the "Block All Websites" blocklist. 3. Start the session--all websites will be blocked! Issue: How do I start a Block All Websites session from the iOS App? Tap 'Devices' and select your device--you will see (This device) next to the device you're currently using. 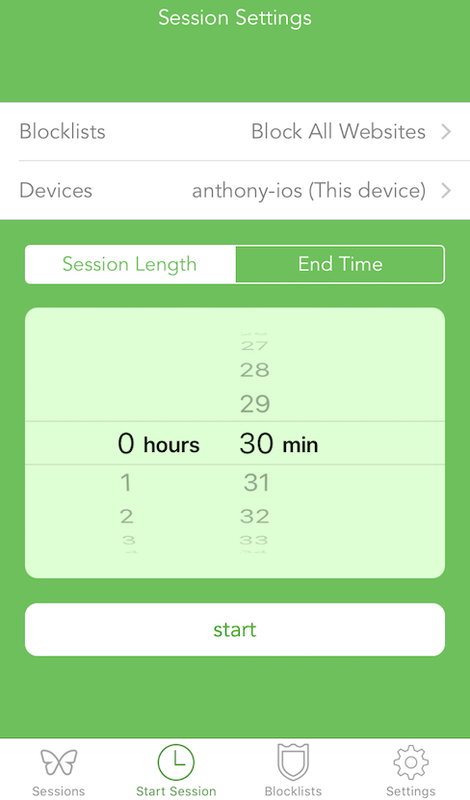 Select your desired session length and then tap start. All websites are now blocked!